To break up the monotony of just seeing each other in the gym, my trainer suggested that we do a team building activity after the Saturday session. Ok, so usually I can't get up early enough for the 7am Saturday session... but I do make it to a group training session at least once a week. 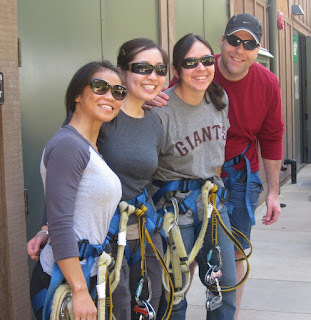 We put together a group of 8 and went ziplining at Mt Hermon.